One other charitable organization that can be found in Oakville is the IODE (Imperial Order of the Daughters of the Empire). This women's charitable organization is dedicated to enhancing the quality of life for individuals through education support, community service and citizenship programs. Founded and organized within Canada in 1900, the IODE continues to serve the changing needs of society. Members actively participate in events and projects that promote the pride and understanding of the peoples and unity of Canada. 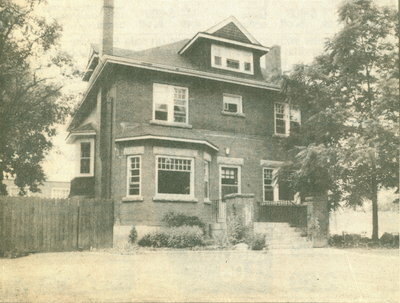 The IODE of Oakville is located at 432 Kerr Street. The information on this page is credited to various publications of The Oakville Beaver and its predecessors, and to the websites of the respective organizations listed in the menue to the left. Just like Oaklands, Halton Women's Place is not located in Oakville, but does serve the Oakville community by providing shelter and assistance for women and children in times of crisis. Halton Women's Place not only provides relief to women in abusive relationships, but works to raise awareness of the issues surrounding abuse by encouraging women to stand up for their rights instead of remaining passive. Halton Women's Place provides women with a place to go, and resources to use in their times of need. When it comes to lending a helping hand, Oaklands Regional Centre is a generous contributor within the Halton Region. 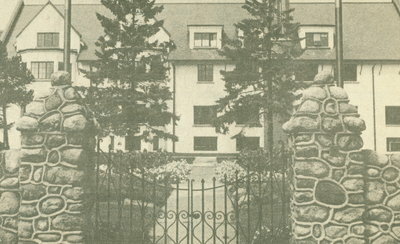 Although it is not located in Oakville, this home for the mentally handicapped serves Oakville residents as well as residents from neighboring regions. Oaklands strives to maintain a lifestyle for its residents that is as close as possible to life outside the home. Oaklands' central location makes it easier for families to visit loved ones, and maintain close contact. Residents of Oaklands enjoy the nearby shopping centers and recreational facilities available for use. They have also established various small businesses within the home that are fully operated by the inhabitants of Oaklands. The residents' jobs teach them valuable life skills in a supervised and safe environment. Oaklands employees work to educate the public, leading by example in their interactions with the mentally handicapped. They treat all residents as individuals with their own personalities, likes and dislikes. Staff and volunteers believe that the issue is a communication barrier, not a lack of intelligence or an inability to perform certain tasks, and they encourage the public to adopt a similar understanding. Oaklands Regional Centre strives to be a fully functioning part of the surrounding community, and provides a safe haven and a positive, welcoming environment for the disabled members of our community. The history of the Salvation Army goes back over one hundred years in Oakville. The first corps was organized on January 20th, 1885. 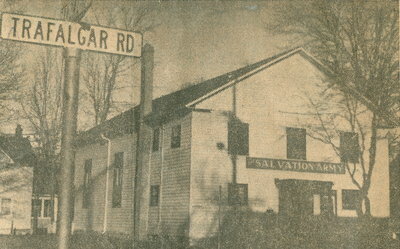 In 1952, the Salvation Army acquired their headquarters at Temperance Hall, a relic of pioneer times located at the corner of Randall Street and Trafalgar Road. They held church services every Sunday morning and evening, and meetings during the week. Temperance Hall served as their headquarters for about 30 years. The Salvation Army continues to operate Oakville's Food Bank. Food is stored at various locations around town due to lack of space to set up one central location that is easily accessible by all. The Salvation Army provides food and vouchers to over two thousand families every year. Welfare recipients and the unemployed are among those receiving assistance from the Salvation Army. 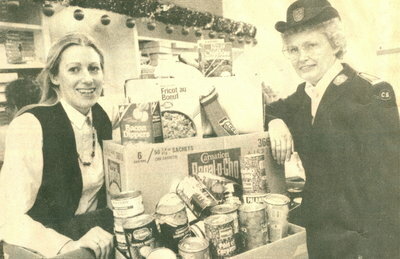 The Oakville Salvation Army expanded into its new warehouse and distribution center on Speers Road in the summer of 1985. The organization operates three trucks that pick up items left at drop boxes, collect donations from homes and businesses, and deliver the goods to four thrift store locations in Oakville, Port Credit, Georgetown and Milton. Large items such as furniture and appliances are sorted and repaired at the warehouse before being shipped out to stores. The Salvation Army Oakville Community Church remains in operation today, at their location on Rebecca Street. They proclaim the presence and power of God's love, and work through his message to respect and honor the needs of humanity. The parish welcomes all with open arms. With the established presence of the Salvation Army food bank and thrift store, it is a common misconception that these are the only services provided by the organization. However, the Salvation Army has much more to offer. Their tireless volunteers visit the elderly who benefit greatly from sharing a kind conversation with a friendly face and a welcome smile. The Salvation Army volunteers have become a vital part of the community of Oakville, offering up their time and compassionate hearts to those in need.